Sustainable Swedish brand Gudrun Sjödén have some beautiful new eco-cotton home ware styles for AW17. Gudrun Sjödén opened her very first little store in Stockholm in 1976. Since then, her colourful design and green ethos have spread all over the world. In their autumn HOME collection, you'll find hand- woven rugs, tablecloths, curtains, cushions, towels and crockery in different home settings. Graphic black and white, grey-brown theme and dazzling colours. All designs are crafted from natural, sustainable materials..
"We’ve created four homes with different characters and colourations from this autumn’s Home textiles. 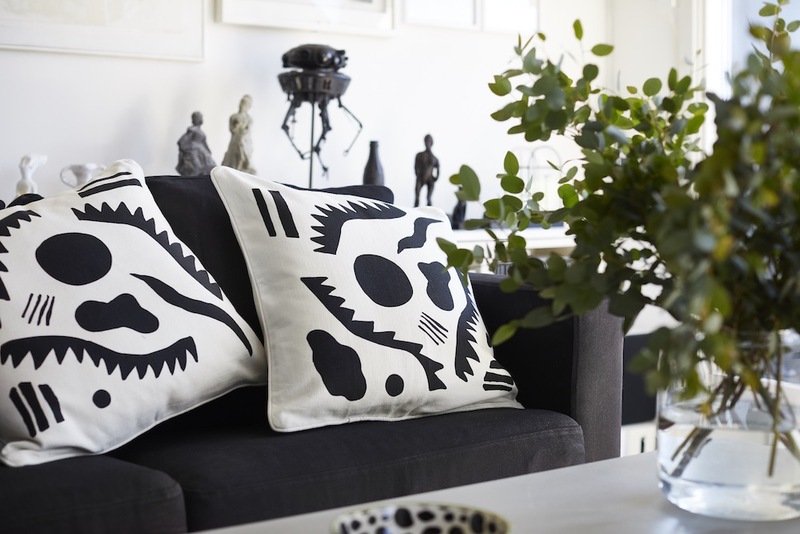 The bachelor pad at Hornstull has a sparse black and white style, with the graphic “Origami” motif on cushions, tablecloths and tea towels. 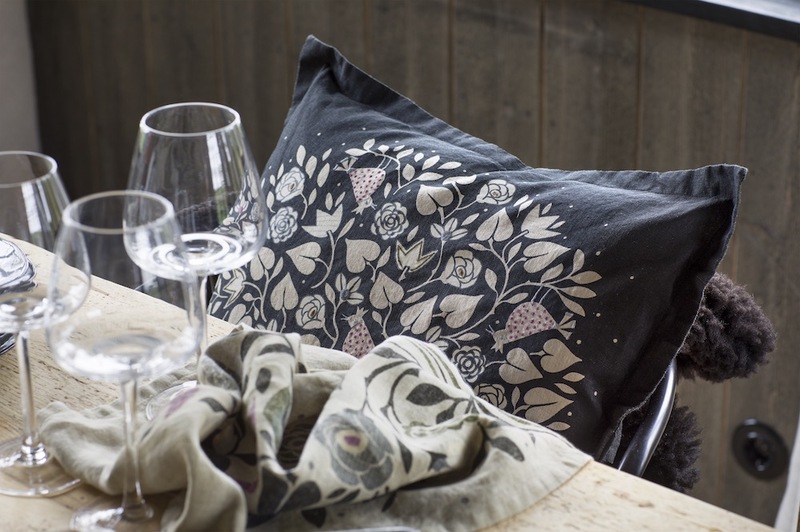 The farmhouse in Siggesta has a delightful rustic style with large tablecloths and cushions made of linen and rose-patterned bedding. We’ve let oral textiles create the ambiance in the green at. 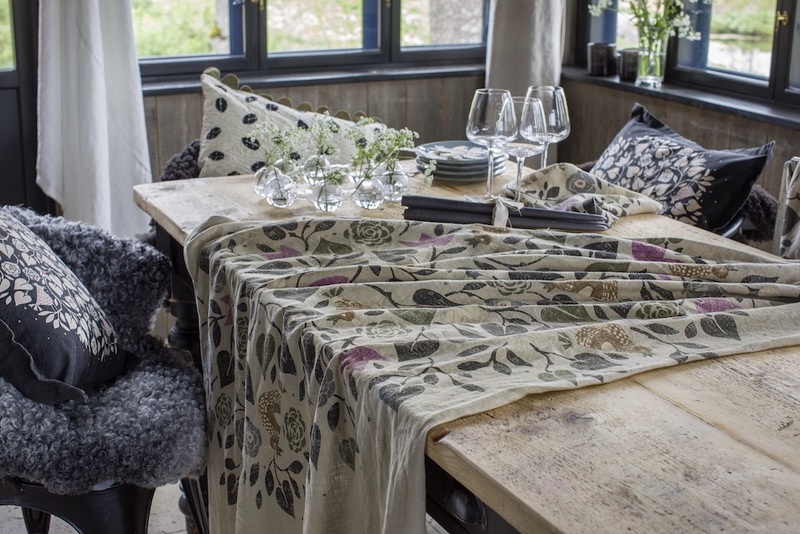 Light and airy voile curtains, boldly-patterned cushions and tablecloths. In Gudrun’s island home, she matches her vivid glaze-stained walls with curtains, cloths, rugs and cushions in strong, punchy colours." says CEO and founder Gudrun Sjödén. is retailed via the distinctive catalogues, a webshop and own-label stores in Sweden, Norway, Finland, Denmark, Germany, the UK and the US. Gudrun’s webshop is celebrating 20 years in 2017 and accounts for almost 70% of the company’s global sales.